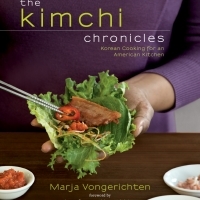 I am a mother, wife, cookbook author and host of the PBS series Kimchi Chronicles. My passions are Korean culture & food. Photo credit: Andre Baranowski.